Data to be presented on more than 15 clinical-stage assets in both solid and hematologic tumors. 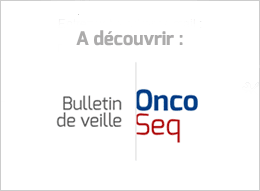 First Randomized Study to Evaluate the Combination of IMLYGIC® (talimogene laherparepvec), an Oncolytic Viral Immunotherapy, With a Checkpoint Inhibitor to be Presented. "The IDO pathway is a key immuno-oncology target and NewLink Genetics has two separate and distinct IDO pathway inhibitors in clinical development: indoximod and navoximod. CEA-TCB was studied in patients with carcinoembryonic antigen (CEA)-positive solid tumours, including microsatellite stable (MSS) metastatic colorectal cancers (mCRC) that overexpress CEA and progressed after at least two prior chemotherapy regimens. BMS compounds to be featured in more than 80 presentations spanning 20 types of cancer, with focus on research of precision therapies aimed at improving standards of care. First presentation of Phase 3 MONARCH 2 study of abemaciclib in combination with fulvestrant in patients with HR+, HER2- advanced breast cancer who progressed on endocrine therapy. Phase 3 pivotal trial results for abiraterone acetate selected to be featured in the ASCO Plenary Session and Press Program. Astellas is presenting a record number of abstracts at ASCO, including data for gilteritinib in acute myeloid leukemia, enfortumab vedotin in urothelial cancer, and IMAB362 from the recently acquired Ganymed. The big preliminary winner — not a big surprise — was Incyte, with a slate of new data points underscoring the potential of its leading, late-stage IDO1 drug epacadostat in combination with Merck’s Keytruda. Presentation will include safety and efficacy data from 18 patients with up to 12 months of follow-up. Is the shorter duration of response shown today with enasidenib a potential cause for concern with FDA? Now in the Phase II portion of the study, investigators for the company have been recruiting two groups of AML patients: Treatment resistant subjects and newly diagnosed patients over the age of 60. The drug is designed to target pathways tumors use to defend against therapies, heightening the effect of chemo. The drug, enasidenib, delivered high overall response rates in patients with acute myeloid leukemia (AML) whose disease had relapsed following prior treatments. Available data from 176 patients showed 40.3 percent responded to the treatment, with 19.3 percent achieving complete remission. An analysis of nearly 273,000 patients showed that between 2013 and 2014 there was a 1% increase in the percentage of breast, lung, and colorectal cancers diagnosed at the earliest, most treatable stage. While the effect was small, the study found that a higher proportion of new breast, lung and colorectal tumors were detected at stage 1 in 2014 compared with a year earlier. The authors based their study of oral HPV infections by assessing data from part of the National Health and Nutrition Examination Survey (NHANES) of Americans from 2009 through 2016. The results in men were striking — no infections in the vaccinated group versus 2.13 percent of the others. The study was observational, so it can’t prove the vaccine was responsible. But it may no longer be ethical to do an experiment where one group gets no vaccine, because its benefits for preventing other cancers is known. The researchers analyzed a questionnaire about dietary intake from a clinical trial of 826 patients with stage III colon cancer - a stage in which the cancer has spread to nearby lymph nodes but not other parts of the body. Merck said data from an open-label Phase 3 trial of 542 advanced bladder cancer patients showed median survival of 10.3 months for Keytruda patients and 7.4 months for patients given second-line chemotherapy. The study's median follow-up was 18.5 months. HALO-202 Study Met Primary, Key Secondary Endpoints and Demonstrated a Statistically Significant Improvement in Progression-Free Survival (PFS) in Patients with High Levels of Hyaluronan. For the 16 patients who were evaluable for efficacy, the objective response (CR/PR) rate was 56%. The Phase II SUMMIT basket trial is an open-label, multicenter, multinational study to evaluate the safety and efficacy of PB272 administered daily to patients who have solid tumors with activating HER2 or HER3 mutations. Phase II trial of neratinib + capecitabine for patients (Pts) with human epidermal growth factor receptor 2 (HER2+) breast cancer brain metastases (BCBM). Talazoparib led to significant tumor shrinkage in 21 percent of the 48 patients in the study's first group, whose disease had progressed following platinum-based chemotherapy treatment. JCAR017 and JCAR014 are chimeric antigen receptor (CAR) T cell product candidates that target CD19, a protein expressed on the surface of almost all B cell malignancies, including non-Hodgkin lymphoma (NHL), chronic lymphocytic leukemia (CLL), and acute lymphoblastic leukemia (ALL). "The translational insights from these data presentations are invaluable as we advance axicabtagene ciloleucel/KTE-C19 and seek to optimize treatment, not only in NHL, but also across a broad range of hematologic malignancies." Investors, however, won't find much new CAR-T data in the ASCO research abstracts released Wednesday night. Pooled analyses of Phase 1 expansion cohorts demonstrate clinically meaningful activity in patient population being studied in FORWARD I registration trial. For its pivotal trial, ImmunoGen is enrolling only patients with platinum-resistant disease and medium or high levels of a biomarker known as folate receptor alpha who have received up to three prior lines of therapy. Of the 36 trial earlier-stage trial patients meeting those criteria, 47 percent responded to the drug and median progression-free survival was 6.7 months. In a phase III clinical trial, patients with epidermal growth factor receptor (EGFR)-positive, stage II-IIIA non-small cell lung cancer (NSCLC) who received gefitinib went about 10 months longer without recurrence than patients who received chemotherapy. The survival benefit was not statistically significant, in part because 75% of the patients randomized into the chemotherapy arm crossed over to receive Keytruda. Syndax has been recruiting two different cohorts for the study: PD-1 or PD-L1 treatment naive non-small cell lung cancer patients and NSCLC patients who had seen the disease progress after checkpoint treatment. Fourteen of 40, or 35 percent, of patients with advanced non-small cell lung cancer (NSCLC) who received Keytruda and Incyte's epacadostat experienced tumor shrinkage of at least 30 percent. A phase III randomized clinical trial of 447 patients with biliary tract cancers (BTCs, cancers of the bile duct and gallbladder) showed that giving capecitabine after surgery extends survival by a median of 15 months compared to surgery alone. The finding could provide the basis for a new standard of care in the disease.